You are viewing a stunning illustration of the Battle of Antietam, sketched by an eye-witness to this historic moment. 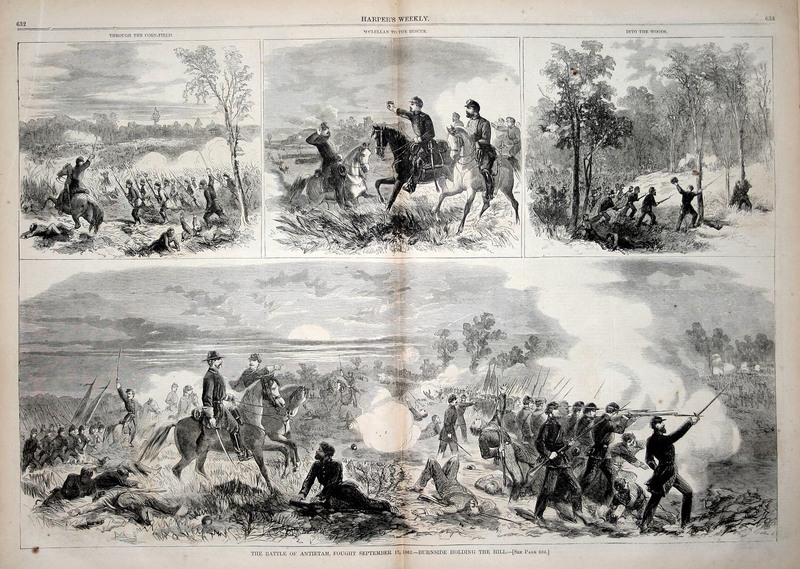 The illustration is from an original Civil War Harper's Weekly newspaper. The illustration is captioned, "The Battle of Antietam, Fought September 17, 1862. - Burnside Holding the Hill. - [See page 634]" The illustration shows a number of incredible scenes, including the Corn Field, the Woods, and Burnside fighting for the Hill.